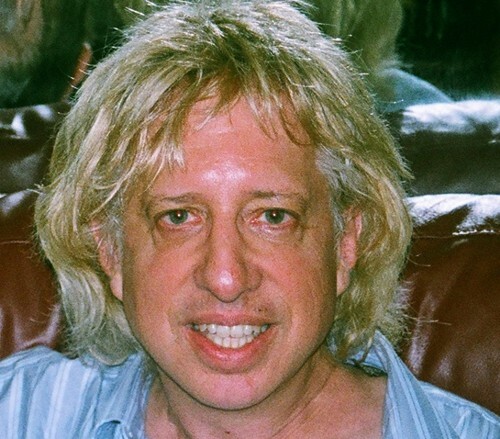 US rock journalist Elliot Stephen Cohen has written for Vintage Guitar, Record Collector, Keyboard, Bass Player, Guitar Player, International Musician and Recording World, Rock Scene, Performing Songwriter, Circus, Rockbill, Harp, Paste, Relix, and American Songwriter. During his years as a rock scribe he has interviewed Def Leppard, Kiss, Rush, Deep Purple amongst over 100 recording artists. What (or who) got you interested in rock music in the first place? When I was kid, being a shy only child, the radio was my best friend. My fantasy ambition was to become a rock DJ but the closest I got to achieving that goal, was having my own little shows on a couple of college radio stations. Who was your first interview with? How did it go? My first real rock star interview was done when I was a college kid spending a summer vacation in London. It was with Kinks drummer Mick Avory. My only previous writing credentials were a couple of articles for my college newspaper. I’ve always loved The Kinks, and with a little New York bravado called up their record company and tried to get an interview with Ray Davies. When I couldn’t get Ray or then Dave, it was arranged for me to interview Mick. I met Mick at the band’s Konk studio recording facility, and couldn’t believe I was actually there. When I listened to the taped interview later, there was so much background noise, that I called up Mick, and asked if I could do another one at his home. To speed up the story, I later became very good friends with Mick. Every time The Kinks would come into Manhattan, staying at the famous Warwick Hotel, I would ring Mick up, and we would go out club-hopping, usually also with fellow Kinks Jim Rodford and Ian Gibbons. I’ve since interviewed the various Kinks, Ray, Dave and Mick a total of nineteen times, far more than any other band, and it’s always still a great honor for me. Ray has always been my favourite composer. Have you had any difficult interviews? What do you write for now? I don’t pursue magazine work very much anymore. Right now, I’m working on a couple of authorized rock biographies. I’ve always enjoyed writing for the American publication Vintage Guitar. Currently, I’m working on a story on original Beach Boys guitarist David Marks, and I’m going to be interviewing Alvin Lee for them very soon regarding his new album. What have been some of your favourite moments as a rock journalist…so far? I guess being invited to a special event on the battleship Iowa that The Beach Boys were hosting for American president Ronald Reagan, and a host of other famous people. As I had arrived late and the ship was already out to sea, someone working for the band called up the U.S. Coast Guard who sent a dingy for me and (U.S. entrepreneur) Ted Turner to bring us to the ship. We were then escorted up a roped ladder onto the massive legendary vessel. I promptly went through every restricted area that I didn’t belong in, and when I arrived on the top level, band member Carl Wilson who was in the middle of performing, looked at me with a startled look, as if to say, “Elliot , how did you get up here !” Carl was always so nice to me whenever I would be backstage with the band. Despite the fact that no photographers were allowed to take photos there, Carl generously posed for many photos with his then steady, Dean Martin’s daughter Gena, with the Statue Of Liberty in the background. Also, as a publicist, arranging and co-hosting a post – concert party for Johnny Cash, who was as gentlemanly as his public image. What are your thoughts on the current state of music magazines in the USA? not surprising since Britain has produced most of the great music ever since the Beatles and their contemporaries “invaded” us. What do you think about the quality of writing online? If you’re referring specifically to online rock journalism, when I’m working on the computer, I don’t really have time to read it. Which books on rock would you recommend? Charlie Gillet’s The Sound Of The City is the perfect primer for anyone who wants to learn about the roots are rock and roll. Who are your favourite rock writers? I think there’s more than a grain of truth in Frank Zappa’s acerbic definition of rock journalism; “People who can’t write, interviewing people who can’t talk, for people who can’t read.” I’m saying that a little” tongue-in-check of course,” and more than a little self-deprecatingly, but I certainly don’t put most rock journalism on the same level with some of the great novelists, or news journalists. What is your music collection like (LPs, CDs, books etc)? healthy or creative, to just live in the past. Can you name some of the best gigs you’ve been to? Seeing The Rolling Stones anytime is the ultimate rock concert experience. Most of their shows I’ve attended have been huge stadium affairs. However, one show they did at Madison Square Garden, New York’s 20,000 seat arena around 2004 really stands out for me. They have such incredible larger-than-life charisma, they reduced it to feel like it was a small intimate club, and did the best live version of ‘Midnight Rambler’ I’ve ever witnessed in all the years I’ve been following them. Great interview! You must have so many great stories about all your experiences as a rock journalist and interactions with some of rock's greatest legends. Would love to see an Elliot Stephen Cohen memoir!